Have what you need when you need it, store it when you don’t. We pick up and store your things. BinSwap is here to help! We offer affordable storage solutions in Chicago. Let us store what you don’t need now. We’ll bring it back just as soon as you need it and swap it out for other stuff you don’t! 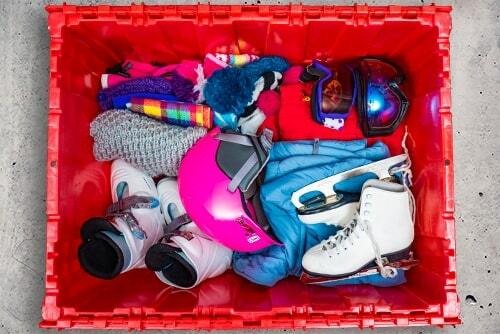 BinSwap customers get one free delivery of their belongings each month. Additional deliveries are $20. We'll always bring you empty bins for free or collect full bins for free. Let BinSwap do the heavy lifting and transporting for you while you sip that craft beer. BinSwap prides themselves on having the best Top Rated Customer Service. Friendly uniformed staff will safely transport your treasures. Accessible by e-mail or phone. Only pay for the bins you fill or the items we store. No annual fee. No hidden charges. We are cheaper than self storage. We will safely and securely store your treasures in a temperature controlled private space. Easily track what’s in storage with our free online inventory. Enjoy one free delivery of your belongings each month. Additional deliveries are $20. Don’t worry, we’ll always bring you more bins if you need them or collect ones you’ve filled. Contact us if you don’t see the item you want to store. If it’s less than 50 lbs and can be carried by one person, we’ll take it. BINSWAP! MODERNIZING SELF STORAGE IN CHICAGO. BinSwap provides the best cheap storage in Chicago! BinSwap is cheaper than that creepy storage unit on the other side of town that you have to drive to. For only $7.50 a month we deliver (for free) a state of the art bin and store it for you. While other moving and storage companies in Chicago charge extra for pick up and delivery. BinSwap prides itself on no subscriptions and no added fees. Plus you can attach photos and descriptions of what’s in each bin on your BinSwap account so you know how to find your scuba gear or plaid shorts collection when you need it. 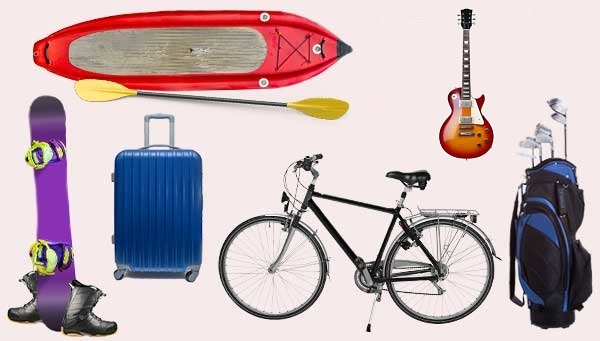 We also take bulky items starting at $15 a month like bikes, skis, christmas trees, golf clubs and even tires! Look no further for cheap storage in Chicago. 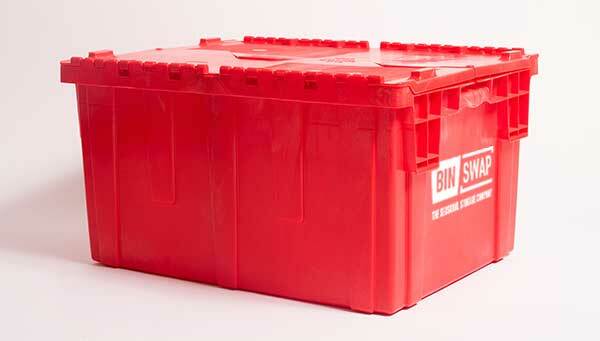 BinSwap not only provides affordable storage for the Chicago area, but provides convenience and ease for the customer. Why travel for self storage in Chicago? 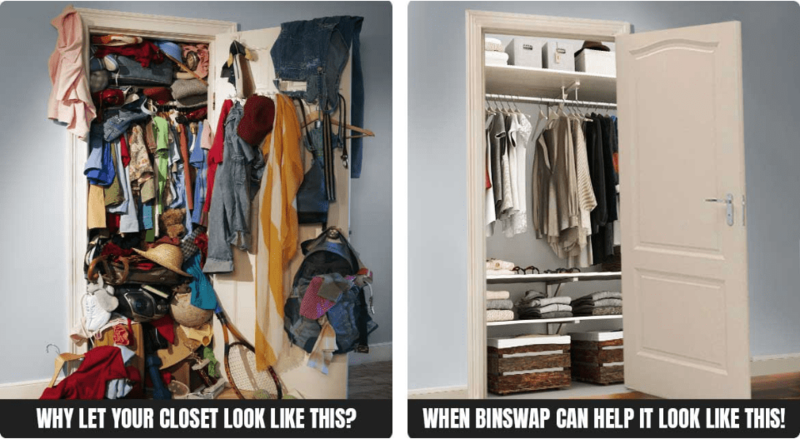 BinSwap brings storage to your doorstep! No need to search for ‘storage places near me’. BinSwap delivers bins to you and stores them so you never have to leave your house. 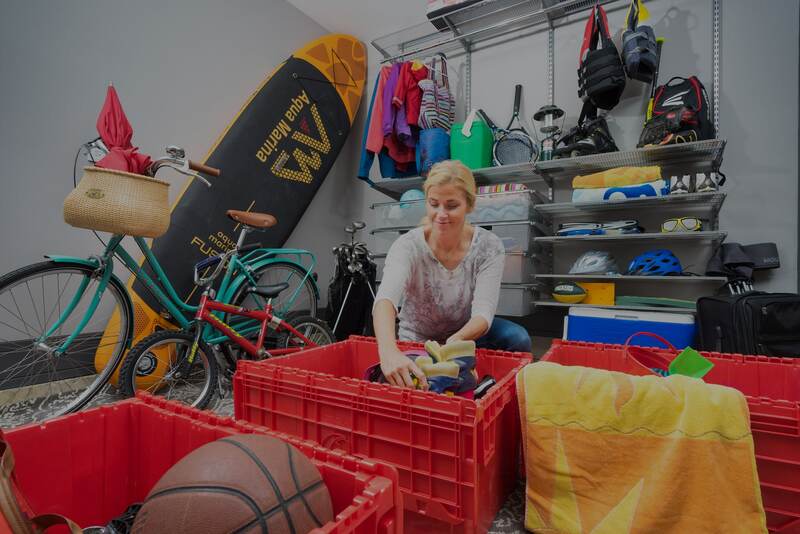 Clear out the clutter and make more space for you by letting BinSwap give you extra storage right here in Chicago. Let us do the heavy lifting and schlepping while you take credit for an instagrammable closet or garage. Life can be messy, but your home doesn’t have to be. Simplify your life. Thanks BinSwapfor helping me get lucky! Once I cleared the bikes, golf clubs, and a few bins of sports equipment out of the garage the Mrs. couldn’t stop ‘thanking’ me. Trust me when I say ‘happy wife = happy life.” -Chris in Bucktown What are you waiting for? The best self storage in Chicago is here at www.BinSwap.com. Live smaller, store smarter, have what you need when you need it, store it when you don’t.